 Since Crofton Scouts’ last entry in April it has been a busy few months. After the Easter holidays we had a trip to the Tesco Supermarket in Hemsworth, where the Scouts had a behind the scenes tour of various areas within the store, as part of the Tesco ‘Farm to Fork’ program. We sampled a variety of different fruits and cheeses, handled some fresh fish and got to see how they make all the bread. Most of the group turned out for the St. George’s Day parade in Wakefield. In May we went to the district camp site at Calder Drift and did some fire lighting. The Scouts then got to do some backwards cooking on the fires. They also built some shelters using poles, rope and sheeting at one meeting, and went orienteering at Newmiller Dam another evening. After half term in June Crofton Scouts spent an evening geocaching in the fields around Warmfield. Although neither group were as successful as they’d have liked at finding the geocaches, a pleasant evening was had none the less. We spent a second evening at Newmiller Dam where the Scouts had to navigate between several tasks, by themselves. An evening was spent playing various ball games including rounders, and the Scouts went cycling at Walton Country Park before finishing for the summer holidays by having a joint meeting, involving a lot of water and getting wet, with the Cubs. A large group of Crofton Scouts attended the County Climbing weekend at Bramhope, at the beginning of June. We have also had a second trip on the district narrowboat The Jubilee Venture. Sadly we bid farewell to some of the older Scouts who will be moving up to Explorers after the summer holidays. Crofton Scout Group would like to thank everyone who helped during the process of us moving from the old Scout hut. Your assistance has been much appreciated.